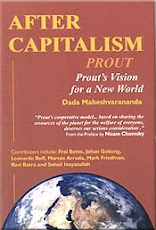 Prout - Alternative economic model for Capitalism and Communism: What is wrong with capitalism? Capital is consumable commodities in their potentiality. Intelligent people collect more capital than others in the form of consumable goods, but since this capital cannot be stored for a long time, they began to keep it in the form of money. Such people are called capitalists. …This universe is our common patrimony. Ours is a universal joint family… We are to utilize all the mundane and supramundane wealth accepting the principle of Cosmic inheritance. Human beings have unquenchable, infinite physical longings and out of these physical longings capitalism came into existence. Capitalists toil day and night for money. In capitalism the rich, in their affluence, misuse the psychic urge and direct their psychic pabula to the pursuit of material gains. And the poor, in their extreme poverty, misdirect their psychic urges and concentrate their psychic pabula on antisocial activities in their struggle for existence. In both cases (communism and capitalism) psychic urges are misutilised for sub-human activities in the physical, psycho-physical and psychic spheres. This must be stopped. If these infinite human longings are allowed to run after objects of worldly enjoyment, conflict among human beings is bound to take place. As material wealth is limited, over-abundance for one leads to crippling scarcity for others. 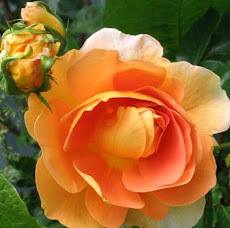 These infinite human longings can be fulfilled only through psychic and spiritual wealth. Brahma has generously arranged infinite psychic and spiritual wealth for human beings; humanity will have to properly utilize that wealth. Exploitation starts when one violates the principle of aparigraha (non-indulgence in those amenities and comforts which are superfluous for physical existence), and accumulates more physical wealth than one actually needs for survival and progress in the world. As a result, traders, industrialists and business people suffer from the psychic disease of accumulating more and more wealth by any means, even to the point of depriving other human beings of their basic requirements. While trying to fight against any sort of exploitation, first we must have a clear understanding of the nature of the exploitation…Capitalist exploitation has brought humanity to the brink of disaster by spreading its exploitative tentacles into every aspect of human life. …capitalist exploitation is perpetuated in three spheres – the physical sphere, which we are well aware of, and the intellectual and spiritual spheres. People have been loudly protesting against capitalism for a long time, and on numerous occasions have launched agitations against capitalist exploitation. Remaining vigilant about people’s dissatisfaction with the capitalist system, capitalists have continually changed their methods of exploitation…Thus we see that in different periods there have been different forms of capitalist exploitation such as feudalism, laissez-faire capitalism, imperialism, colonialism, neo-colonialism, mixed economy, multinational corporations, etc. Today even communism, which was once a deadly weapon against capitalist exploitation, has become a blunt and obsolete tool. Psycho-economic exploitation…is a special type of exploitation which first weakens and paralyses people psychologically in various ways, and then exploits them economically. Some of the methods of psycho-economic exploitation include:…the extensive propagation of pseudo-culture, exemplified by pornographic literature which debases people’s mind, …an unpsychological education system with frequent political interference by vested interests,…placing the control of different mass media, such as newspapers, radio and television, in the hands of capitalists. To counteract this threat, powerful popular sentiments will have to be generated immediately for the liberation of intellect…Casting aside all their inertia and prejudices, intellectuals will have to mix with the common people and engage themselves in their welfare. They will have to assist the common people in their development and extend their support to all anti-exploitation movements. This approach will help to root out exploitation, stabilize the structure of society and expand the intellectual standard of the common people. Human society will move forward to a brilliant future with rapid steps. Spiritual Capitalism; Some people neglect their family and society and go to caves in the mountains and perform arduous penance to fulfil their longing for spiritual emancipation. Because of their selfishness, they keep spiritual knowledge to themselves and do not bother to arouse spiritual awareness in individual and collective life. This is capitalism in the spiritual sphere. Prout clearly emphasizes the need to fulfil minimum economic needs and create an ideal congenial social environment in which there will be…rational distribution of resources to solve all economic problems. No matter what form capitalism takes – individual capitalism, group capitalism or state capitalism – capitalists will always prefer centralized production. Communism is state capitalism which is why it is not free from the defects of capitalism…in state capitalism industries are centralized…Capitalism and communism are the same internally. To ensure the social and economic liberation of human beings, the maximum amount of socio-economic decentralization is essential…As far as possible, the establishment, operation and distribution of all industries should be done at block level. Only when this cannot be done should industries be organized at a higher level. Obviously, industries such as iron and steel factories cannot function in every village, block and district, so they should function in a larger area…Normally only very large-scale key industries should be under state control, and these industries should be centralized instead of decentralized. Capitalism is now rapidly moving into the final stage of degeneration. In the early part of the capitalist era, society experienced certain advantages, but towards the end, society has become the victim of insatiable rapacity, unbearable hardship and heartless deprivation. Those countries suffering under the weight of capitalist exploitation are rapidly moving towards shúdra revolution. It cannot be denied that violence gives rise to violence. Though the humanistic approach works in some cases, in most instances it does not produce any result; and even where it does work, it takes a very long time. So, wherever necessary, capitalism must be forced to abandon its ferocious hunger by taking strong measures. But it cannot be assumed that even these measures will be completely successful, because those who appear to be under control due to fear of the law will adopt other ways to fulfil their desires. Black marketing, adulteration, etc., cannot be totally eradicated by threats or by arousing fear of the law. The incapability to recognize the requirements of others because of insensitiveness is a psychic disease. Those afflicted with this disease are also members of the vast human family; they are also our brothers and sisters. So, either by making humanitarian appeals or by creating circumstantial pressure, arrangements will have to be made to cure them of their ailment. It would be a great sin even to think of their destruction. Both capitalism and communism are on the verge of extinction from this world. The external and internal spheres of capitalism have ordinary acceleration, but there is a contradiction between its internal and external spheres. The contradictions in capitalism are due to the self-centred profit motivated psychology and the accumulation of wealth for the benefit of a few rather than for the welfare of all. Hence, capitalism is not congenial to the integrated growth of human progress. A day is therefore sure to come when capitalism will burst like a fire-cracker. Those who want to promote public welfare without antagonizing capitalism will have to oppose mechanization. This is because when the productive capacity of machinery is doubled, the required human labour is decreased by half, so the capitalists retrench large numbers of workers from their factories….Surplus labourers are ruined, bit by bit, due to poverty and hunger. In a collective economic system there is no scope for such an unhealthy situation; in this system mechanization will lead to less labour and more prosperity. With the double increase in the productivity of machines, the working hours of labourers will be reduced by half. Of course, the reduction in working hours will have to be determined keeping in view the demand for commodities and the availability of labour. In a collective economic system the benevolent use of science will bring about human welfare…Not always being preoccupied with the problems of acquiring food, clothing, etc., people’s psychic and spiritual potentialities will no longer be wasted. They will be able to devote ample time to such activities as sports, literary pursuits and spiritual practices.